If you’re in need of a little gym motivation just take a look at this video of Ric Flair deadlifting 400lbs. The 67-year-old iconic former wrestler is still pumping iron to his heart’s content, proving once and for all that age is just a number. Sharing the video to Twitter, the twice-inducted Hall of Famer confirmed he wasn’t ready for retirement just yet. The veteran athlete has since received admiration from the Twittersphere’s fit fam in the form of 20,000 likes and 10,000 retweets at the time of writing. Although his technique was a little out and he visibly struggled towards the end of the lift, you can’t help but be impressed by this athletic prowess. After five – presumably failed – days of your New Year’s resolution to gym more and hit peak fitness in 2017, Flair’s efforts should be enough to shame us all into training harder and achieving our fitness goals. 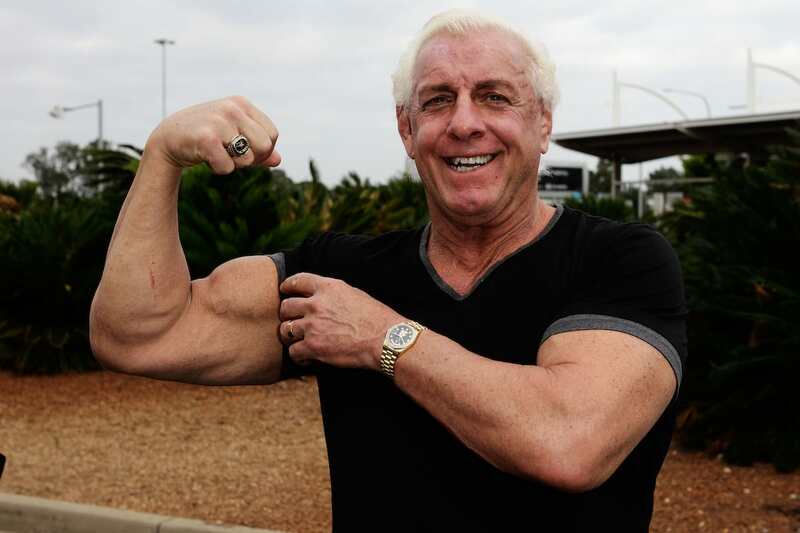 But don’t beat yourself up if you’re not quite at 400lbs yet… after all, we all know there’s only one Nature Boy.